There are many beverages that have been discovered over the course of centuries but few are well loved and enjoyed like good old coffee. But to achieve that sought after burst of flavor and aroma coffee lovers have learnt to grind the coffee bean to release its potency before brewing it. With time and the advancement of technology we have moved from mortar and pestle grinding to top of the line grind and brew coffee makers. Now you don’t have to be a coffee maestro to enjoy an expertly made cup of coffee right in the comfort of your home. The beauty of a grind and brew coffee maker is the ease of use with which it delivers an expertly made aromatic cup of coffee just the way you like it and at the press of a button. For most coffee enthusiasts the idea of grinding their own beans appeals to them but they may not have the knack or the time to do so. This is precisely where a brew and grind coffee maker comes in handy. For one, it affords you the luxury of working with all coffee bean types of different shades and roasts. We have taken the time to find some of the best grind and brew coffee machines in the market today to ensure that you can enjoy your coffee strong and aromatic. This Breville grind and brew model features brushed stainless steel covering the body of the machine ensuring that you have a good brew and grind service for many years to come. The outer body, including the bean hopper, is stainless steel which means it is easy to clean. It has a practical locking system that facilitates easy removal so you can move it around as you please. Most people do not want pieces of equipment that are unnecessarily bulky on their kitchen tops. This Breville sits at a depth of 14″, stands at height of 17″ and is only 9″ wide making it suitable even for the most space deficient kitchen. Its grind control takes into account the fact that different roasts may grind differently, for this reason it allows you to attain the best grind from any bean you choose. Equipped with stainless steel burrs, the Breville BDC650BSS Grind Control also comes with a calibration function that enables you to customize the grind size and volume of coffee to suit your preference. The 6 distinct burr settings see to it that you attain an optimal grind for brew. The bean hopper should be larger to accommodate more beans. If not do be not surprised if you have to do refills every day depending on your usage. It says half a pound capacity, but practically seems to accommodate less, more like a third. Routine clean up on burrs, chute and filter should be done more often to maintain smooth function. It does very well with all type of beans especially oily ones as noticed by most customers. Once you have your grind settings to your preference, using it is a breeze and you can be sure to enjoy amazing aromatic coffee at every opportunity. If you want to impress family and friends with the bright and bold taste of bean to cup coffee, the Cuisinart DGB-900BC Grind & Brew coffee maker is there to deliver on that desire. This is possible because it is fully programmable allowing you to set your preferred grind setting and the machine does the rest. It ensures your beans are ground to the proper consistency before being delivered to the coffee maker for brewing and collected at the carafe; all at the touch of a button. This machine also keeps your coffee warmer for longer owing to double walled carafe that seals in the heat and aroma so you can enjoy your coffee still steamy and flavorful hours later. If you are entertaining or have a large family, the more the merrier is the mantra with this machine as its brew capacity is up to twelve cups. The grid control is in this model provides the option to choose the amount of coffee you would like to grind at any given time, from 2 to 12 cups. When you need a quick coffee fix and cannot wait for the whole pot to brew, the brew pause feature mercifully lets you enjoy a cup before the brewing is finished. It has an automatic shut off once it finishes brewing, meaning you don’t have to be present to stop it. It is a great fit for most kitchens as it has excellent aesthetics and the build is not bulky. The model measures 16″ tall with a depth of 10″ and a breadth of 8″ so you can be sure it will not be gulping space from your kitchen counter top. Some customers have found this model not to heat the coffee the way they like. The grinder is amazing and grinds quite fast although some people might find the grinding noise a bit too loud for their comfort. However, one you get past the noise you will agree that coffee ground and brewed on this machine is far superior compared to pre-ground coffee. People who like their coffee super-hot would score this coffee maker a little lower, but if you like your coffee mildly hot, you will be just fine with this superb and fairly priced grind and brew coffee machine. The compact space saving design of the Capresso 465 CoffeeTeam is part of the reason why it is a favorite in most kitchens. It features the latest technology of conical burrs and a direct feed for steaming flavor full cups of coffee. It has a minimalist look and will likely complement any kitchen decor or counter top. For lovers of hassle free bean to cup coffee, you now have yet another remarkable grind and brew option to consider. This coffee maker is comfortably able to grind whole coffee beans of different roast and automatically brew you up to 10 cups of aromatic and excellent tasting coffee. The brew capacity is adequate and suitable for those who love their freshly ground and love to entertain. You can whip yourself a quick delicious cup on single serve when solo or program this machine for 10 cups and anything in between when your mates are around. Cleaning the filter can be a challenge with most coffee making machines but not with this grind and brew model whose gold tone filter is easy to use and clean making it very convenient for users and maintenance. Once your coffee has been ground to a preferred consistency it is directly delivered to the brewer. The finished brew that collects in the carafe will remain perfectly hot for hours without the need for reheating. The bean hopper is of decent size holding beans for 20 cups of brewed coffee at a go before you have need to do a refill. It is also designed to keep the moisture out. When grinding coffee, the darker and oilier the bean, the coarser the setting. This model allows you five different settings for light to dark beans making it possible to set the appropriate setting for numerous roasts with an excellent end result. One feature that makes maintenance of this machine convenient is the detachable see through cover. Cleaning the grinder channel is quick because of this thoughtful construction. This is arguably one of the most sophisticated brew and grind coffee maker in the market. Coffee from this machine is aromatic with a nice output if you like your coffee medium to strong. This in part is because of the direct feed technology that allows grinding to take place whilst the filter is inside the machine. The result is coffee with a great aroma. If you need to indulge in a cup while in the middle of brewing, this machine is friendly enough to allow you to serve yourself through the drip-stop-serve function. Ultimately this the kind of brew and grind companion you would not mind having in your kitchen. This KRUPS model scores high in aesthetics as it somewhat departs from the conventional look of a grind and brew machine. It is built to look good but also for durability. The extra thick walls ensure stability while the material used such as stainless steel meshed with tough easy to clean plastic and a well-crafted mechanism culminates to an aesthetically pleasing gadget with exceptional performance. The tower like pentagonal appearance does allow it a few more scores on the aesthetic front. But don’t be fooled by the good looks, this machine is not just a pretty face but has a cutting edge performance that most coffee lovers will appreciate. With the KRUPS brew and grind coffee machine, guess work has been tossed out of the window as every automated aspect that results in the making of a perfect cup of coffee has been taken care of including the grind, coffee to water ratio, contact time and brew temperatures. The strength option provides three levels to suit every ones taste ranging from mild, medium to strong. These two functions allow a great level of control over the coffee extraction and brewing process. 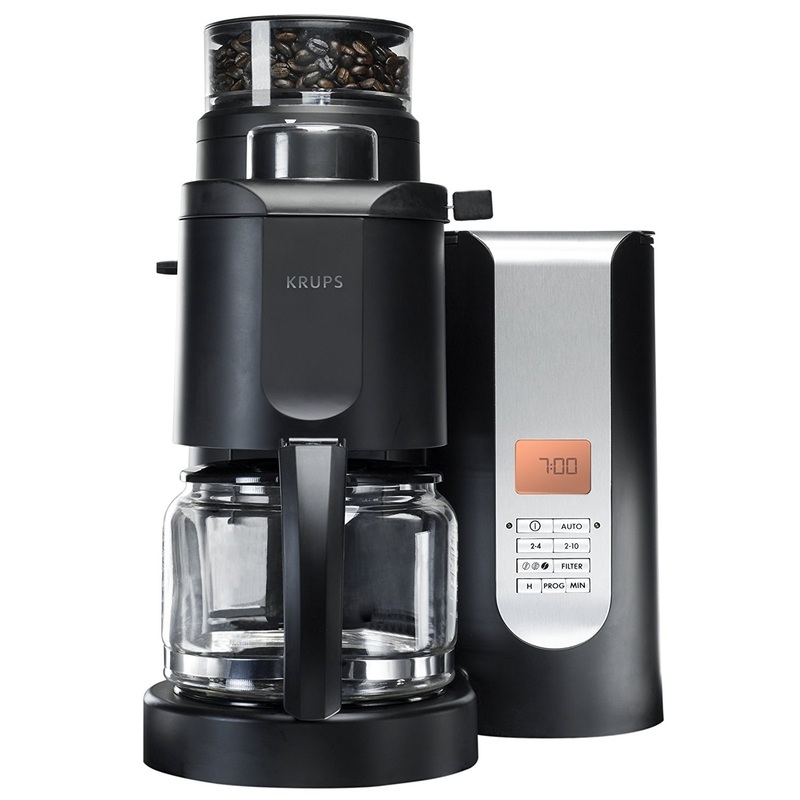 Convenience is at the heart of this KRUPS model as it is programmable with options such as automatic brew. Once the coffee has been brewed, the carafe through the help of a hot plate will maintain the coffee hot for 2 hours after auto shut-off kicks in. If you are on the go and can’t wait for the whole brew to finish brewing, the KRUPS K785 allows you to remove the carafe during a brewing cycle and pour yourself an advance cup through a pause and serve function. It is easy to see why this coffee maker comes highly recommended. Over and above the chic design, the functionality is super convenient. For the best experience possible with this model KRUPS it is recommend to go for a medium roast bean such as American roasts or full city roasts. If your inclination is more towards a darker roast, try the Vienna roast for this model and it is very likely you will love them. With this product you can expect a high level of efficiency. 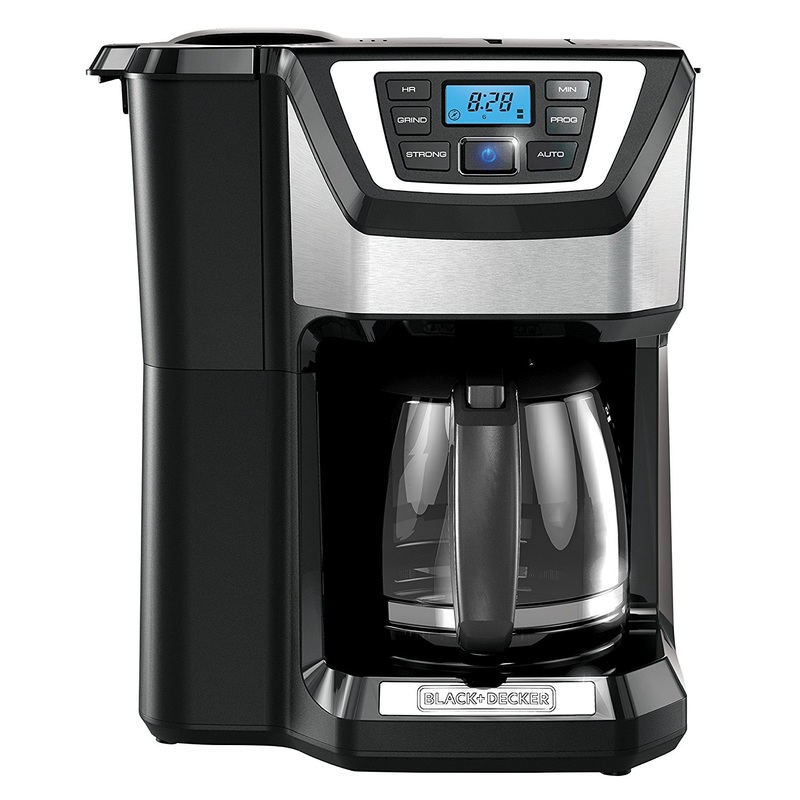 Black and Decker is a remarkable brand and their all in one CM5000B grind and brew coffee maker does not disappoint. The programming panel is quick touch and allows you a slew of functions at your fingertips. These include but are not limited to brew strength no matter how mild or strong you like your coffee. The time setting option and an auto brew feature will have you waking up in the morning to an already made cup(s) of coffee hot and ready to wake up your palate and your senses. The filter can be a tricky part for most coffee machines, but this is one aspect you do have to worry about when it comes to this model. The bronze tone filter is permanent and eliminates the need or use of paper filters which can be quite wasteful. The filter is attached to the integrated grinder which means that cleaning and maintenance becomes so much easier as both are removable and easily cleaned off in your sink. The removable brew basket is top rack dish washer friendly. On those days that the whole family is home or you have company, this brew and grind machine has you covered as it can brew a minimum of 4 cups, a maximum of 12 cups and everything in between to suit the number of your visitors. The design is sleek, compact and made to last. Although the machine is two in one, it is not bulky and would be a good fit for most kitchens even those that appear to have limited space. You can only the bean hopper for a single pot of coffee. The measure is approximately 1 tablespoonful per cup so 12 tablespoons for 12 cups for a full pot. If you need a functional non-complicated and affordable grind and brew coffee maker, this is a great option as it allows you to have your favorite coffee from freshly ground beans brewed to your liking. It also has an option of using pre-ground coffee when you need to. The bean hopper is clearly smaller but functional and will not allow you the convenience of loading up for several pots before you have to refill. That however is a fairly small price to pay given the bargain of purchasing this particular two in one at a very affordable price. If you happen to be on a budget but need your coffee certain way, this is a deal. Coffee is indeed an awesome beverage, the truth is most people who have an up close and candid relationship with their coffee beans may find it hard to go in the direction of a grind and brew machine their preference being the pour over sort of machine. The reasoning is perfectly understandable. For some people is not just about whipping a quick cup of coffee in order to drink, it’s about the process of arriving at that cup of coffee that adds flavor to their coffee drinking habit. If you fall in that bracket, then you would probably prefer the option of grinding your own coffee and brewing it separately in a filter coffee maker, then sit back on a rocking chair bare feet and savor your work. We get it. The pleasure of that brew is in the process. While this may be the case, the benefits of a grind to brew coffee maker cannot be denied. The speed, precision and technology to brew a perfect cup in a matter of minutes on a busy morning is too good to be true that even the most staunch manual grinder enthusiast can be swayed. Your budget is a great guideline on features that you are willing to settle for and those you can do without. Brew and grinder machine prices can range from $70 to $1500. 2. What do you need a two in one for? If your need for a grind and brew machine is simply to enjoy bean to cup coffee, then this narrows your choices significantly to a machine that only has the most necessary and basic features that allow you to do just that. Such features include grinder type, bean consistency and timer function. More complex machines can be purchased in case you have a commercial venture like a bistro or restaurant. 3. 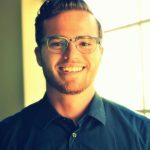 How much flexibility do you need in grind and brew machine? Having clarified your budget and reason for buying such a machine, you can now indulge a little bit on what extra function you would want on your ideal machine depending on how much wiggle room your budget allows you. Is it possible to switch the display from ml to oz on the Breville BDC650BSS Grind Control when you need to? Yes it is possible to switch the display from ml to oz. You would have to press and hold the two middle button knobs titled CUP and STRENGTH, this will change the default setting to the desired one whether ml or oz and vice versa. Does the Cuisinart DGB-900BC Grind & Brew carafe have a hot plate? Yes, but the hot plate works during the brewing process and auto shuts once the brewing process is done. The carafe is thermal insulated stainless steel so you can pour yourself a steaming cup right after you the brewing process, come back after 3 hours for a refill and it will still be steaming. Should you need another refill after 6 hours, your coffee will be luke warm. Any refills after this point and the coffee will be at room temperature. The only challenge you might encounter with the carafe on this model, is that it has a small opening so cleaning can be rather difficult so is drying the inside completely. This can be easily solved by using a dish brush for cleaning and purchasing an extra carafe for use when the other is drying out completely before the next use. The Capresso 465 CoffeeTeam looks fragile to me, how durable is it? Looks can be deceiving but when you take a closer look you will realize the better part of the body is made of stainless steel so are the conical shaped burrs. All these materials are very durable so durability of this model should be the least of your worries. 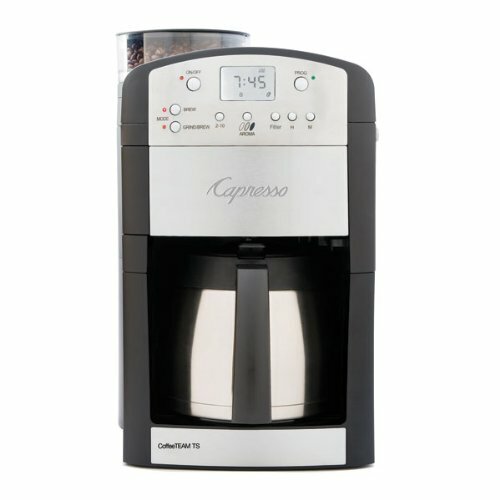 Is it possible to brew directly into a mug with the KRUPS KM785D50, is there a travel mug that can serve this purpose? Technically you can brew right into a mug by simply depressing the button at the bottom of the basket. Provided your mug is the right height, it is possible. I do not know of a specific travel mug that can serve this purpose. 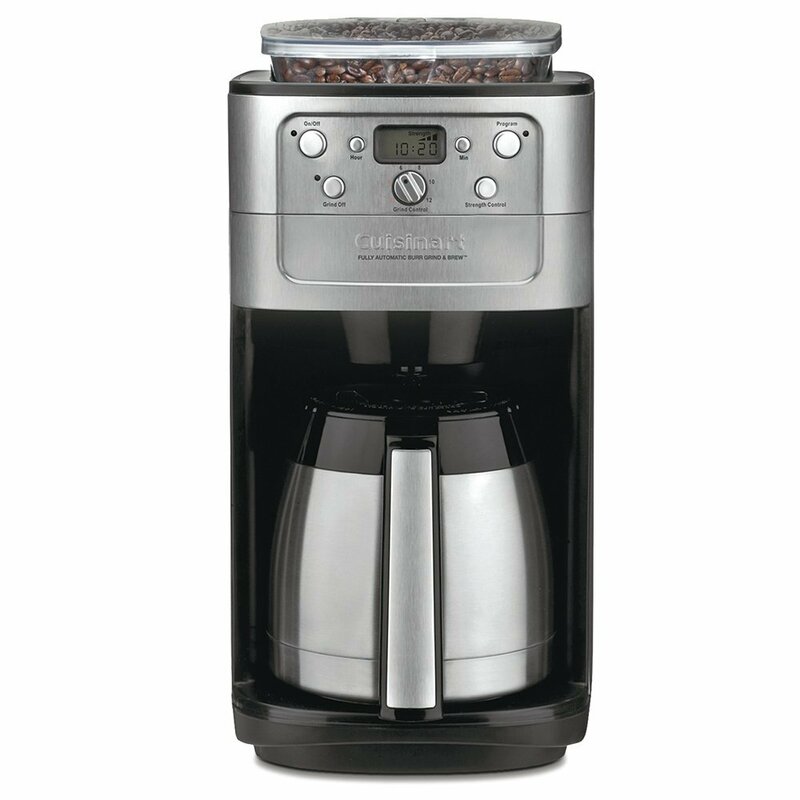 Does the Black+Decker 12-Cup Mill & Brew CM5000B mill beans if programmed automatically or does one have to instruct it manually? Yes! This grind and brew coffee maker is smart enough once programmed to mill the beans before brewing. Knowing what to consider when buying a grind and brew coffee maker coupled with the above run down of 5 best grind and brew coffee makers in the market today will definitely help you in making a good selection. This information will hopefully ensure the task is not too harrowing. 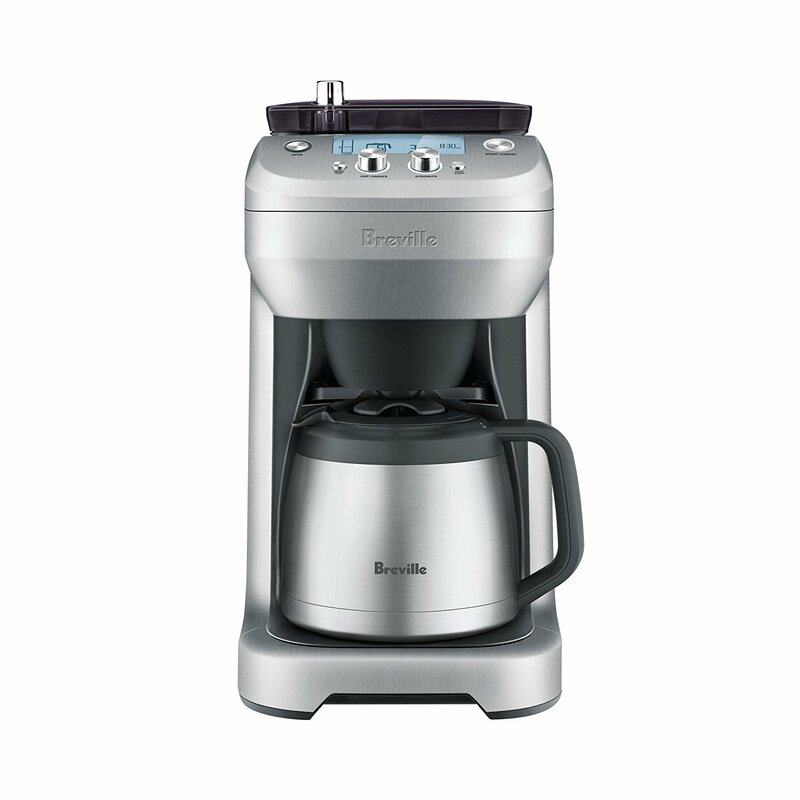 I would recommend the Breville BDC650BSS if you are having a hard time deciding which one to go for among the 5 grind and brew coffee machines. Once you are over the hurdle of making an informed purchase, you can kick back and enjoy the fruits of your labor. Celebrate and enjoy your coffee from bean to cup because believe me if Sultan the magnificent could wind forward the hands of time and have a grind and brew coffee maker you can be sure he would savor it.